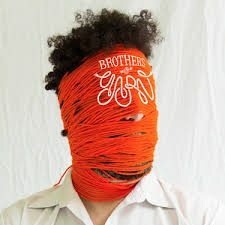 Volume 1 by Brothers in Yarn is, simply put, an astonishingly beautiful album. From the very beginning you feel as though you are being invited to take a journey with these songs. They make you want to dance, go on a road trip, explore a million different places, and just generally get out and experience life. The concept behind the album is interesting as well, every song is based off of a book, and that informs how one might listen to it. Even without knowledge of just what book each song was inspired by, one still grasps the overall feel of that literary work, whether it be expansive and grand, or menacing and cynical. Every song here sounds connected to each other, and yet they all have their own unique feeling, and they all stand up when repeatedly listened to. A wonderfully refreshing concept here yields a lovely and great album.